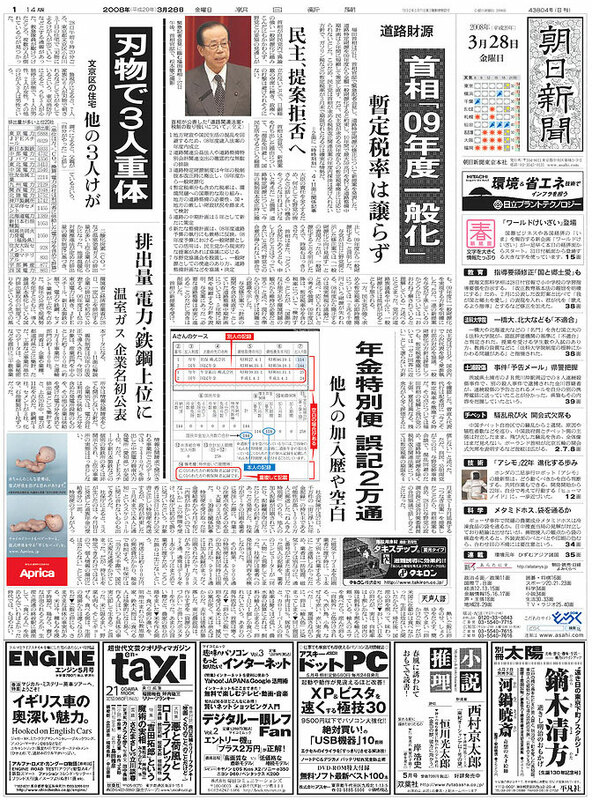 Geotypografika » Blog Archive » I heart the Asahi Shimbun. Above: From today’s Asahi Shimbun. 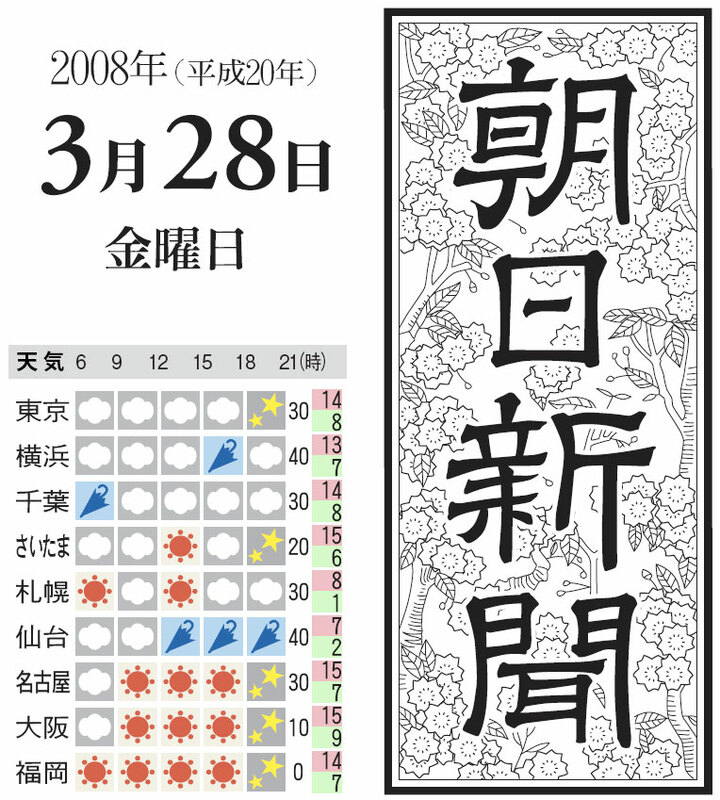 Above: The full front page, March 28, 2008. Tokyo, Japan. Sugoi, desu-ne. Check in with Newseum daily, front pages from around the world. This entry was posted by Erik Brandt on Friday, March 28th, 2008 at 6:38 PM	and is filed under Aktuell, Globalization, International.